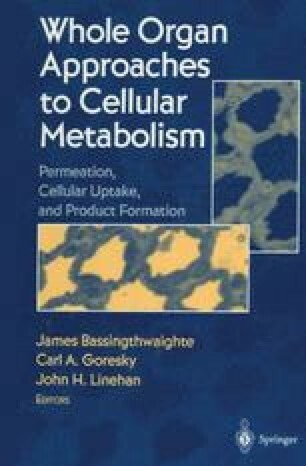 In the whole organ approach to cellular metabolism, the processes of capillary permeation, cellular entry, and intracellular reaction kinetics need to be examined in detail. The area is complex and varies from organ to organ, but there is a set of principles unifying the approaches to studies of these processes. The general approach to endogenous metabolism has been to carry out tracer studies within a variety of concentration steady states, and, for xenobiotics, to study the disposition of tracer within a variety of developed and maintained steady-state bulk concentrations.